100% Cotton. Hidden elastic waist. Easy care and very comfortable! 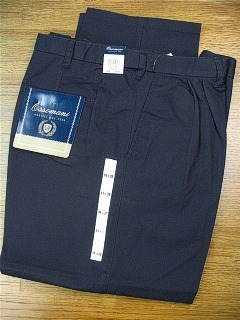 Hidden expandable waistband sizes 46 up. Quarter top pockets, belt loops, button thru pockets. Great item!